Firstly, I feel I need to clarify exactly what I mean when I say “Off The Beaten Track” – it’s not on the usual short-term tourist itinerary. If you google any of the places I’ve gone in the “Off The Beaten Track” series you’ll come up with scores of blog entries by other expats, but very few of these places would be visited by overseas tourists. The Old Malay Cemetery is situated behind the Malabar Mosque in Kampong Glam, between Victoria Street and Rochor Canal Road. There’s actually two cemeteries here, and as there aren’t any signs you can distinguish the two by standing at the corner of Jalan Kubor and Victoria Street and facing the cemeteries. The one on your right is the Old Malay Cemetery and the one of your left is the Muslim Cemetery. 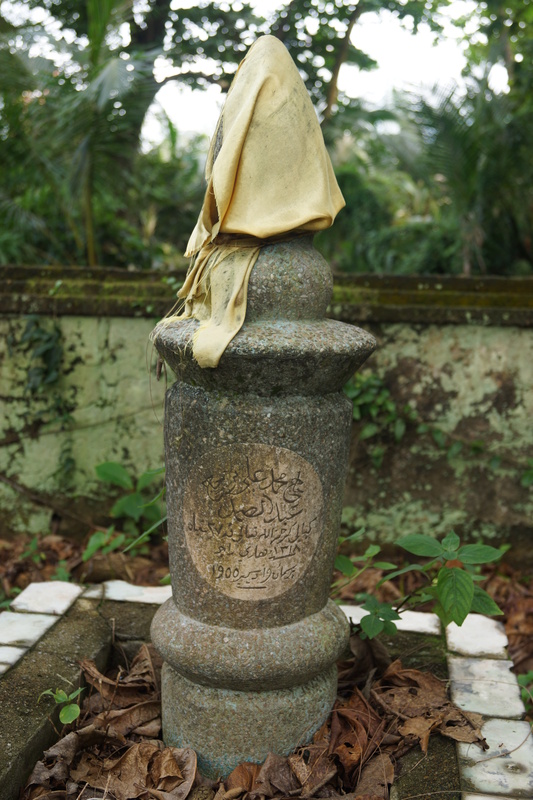 The Old Malay Cemetery dates back beyond 1836, when it’s mentioned in a map by J.B. Tassin who recorded it as “The Tombs of the Malayan Princes. 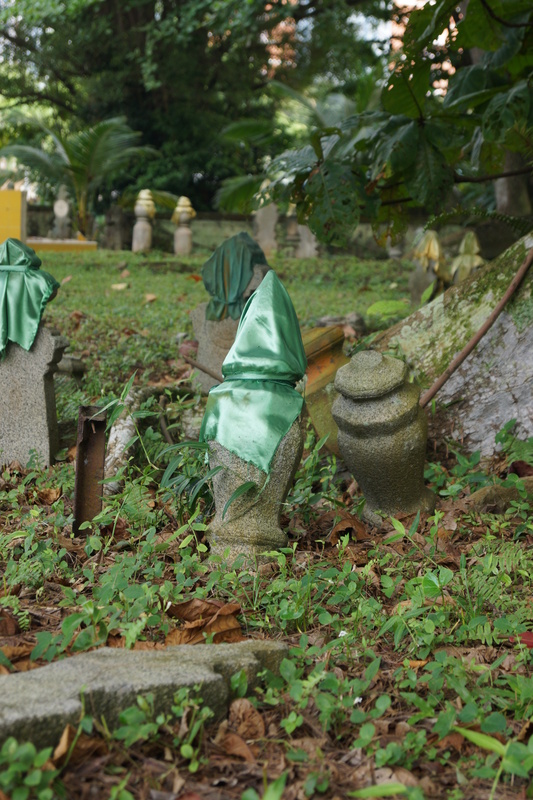 The cemetery appears as though it is in ruins but you only have to spend a short time living in the tropics to realise that decay happens very fast in this climate, so it’s a testament to the people of Singapore’s hard work that the cemetery still exists. The grounds are looked after but it’s still a good idea to wear closed-in shoes as there is lots of leaf litter and the ground is quite spongy. Also, bring some insect repellant as there are plenty of flying critters around. One section of the cemetery is built on a platform which you reach vis a set of concrete stairs, and six headstones (or are they also footstones?) in the centre are draped with cloth. 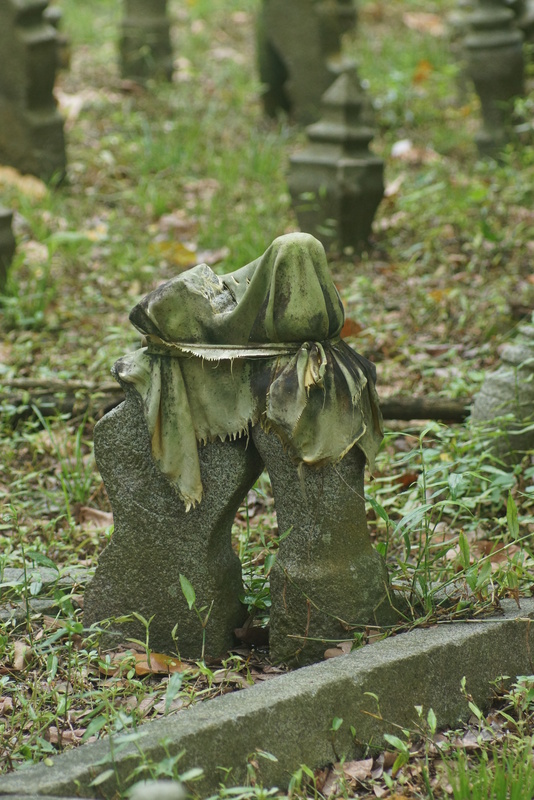 Apparently it is a Malay custom to drape headstones with cloth in order to keep the spirits in the ground. One website tells me that this was done by the homeless people living in the cemetery, but I can’t verify this. I imagine that the people buried up here are somehow different from those buried in the rest of the cemetery, so perhaps they are the tombs of the Malayan Princes? 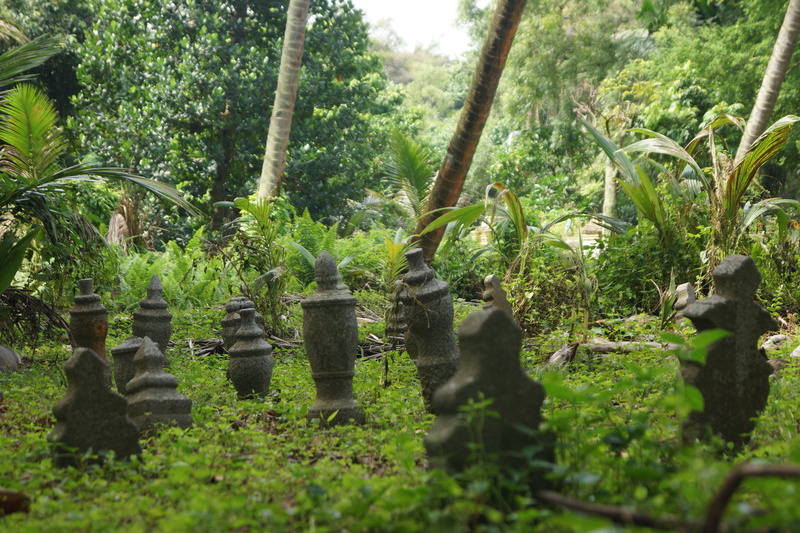 The Muslim Cemetery features the same small concrete stones that are in the Old Malay Cemetery, arranged in seemingly haphazard fashion. There are no orderly rows that you typically see in a Western cemetery, but both cemeteries are quite charming. However, the Muslim Cemetery hasn’t always been peaceful as it was the scene of a police shoot-out in the early 1970’s when two brothers involved in gun smuggling were cornered here by police. I was the only visitor the day I went, though! The Old Malay Cemetery is between Rochor Canal Road and Victoria Street and is intersected by Jalan Kubor. Coupon car parking is available on Jalan Kubor. Bugis is the nearest MRT station. I love your off the beaten track series. I have picked up a couple of new ideas! 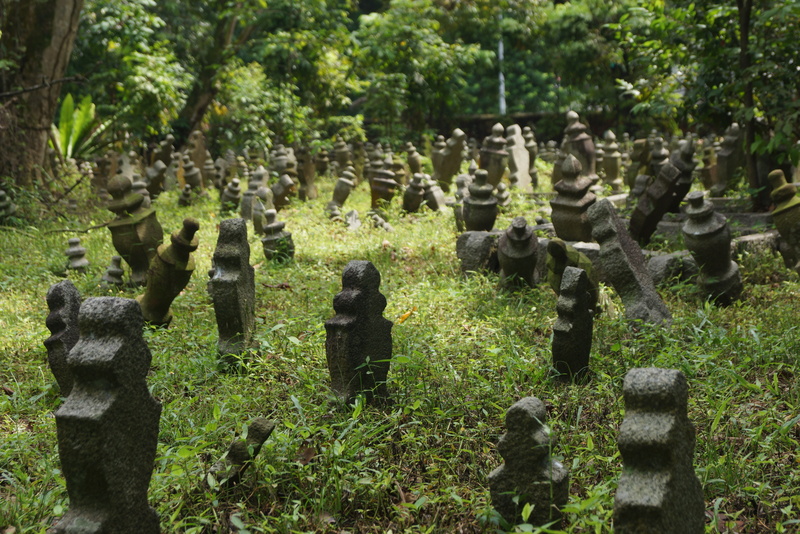 Lots of old cemetery in Singapore (e.g. Bidadari in Serangoon, Bulim in Jurong, Jewish in Balastier, Parsi in the former Singapore Poly vicinity, Cantonese cemetery in present day Taman Ho Swee location, Ngee Ann Teochew cemetery ( exhumed in 1958/1959) in the present day Ngee Ann Building, Orchard Road, Muslim cemetery in Irwell Bank/River Valley Road, 2nd Cantonese cemetery in present Bishan, Hainanese cemetery in Thomson Garden area) were exhumed for development. 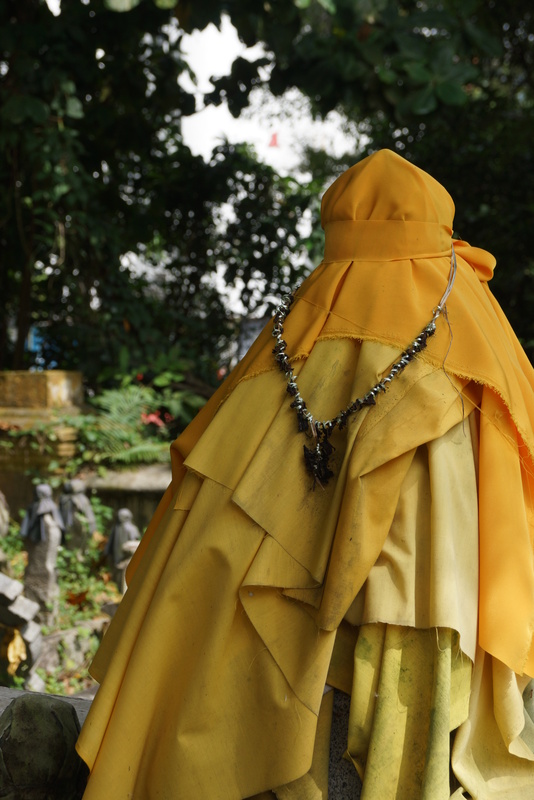 Is Jalan Kubor cemetery for heritage preservation? If so, owner of the area should be responsible to turn it into a park rather than in the present state.